JULIAN STATION: It Sure Is Green Up Here! It Sure Is Green Up Here! What a beautiful time of year. Lilacs beginning to leaf out, grass green and skies crisp and clear. 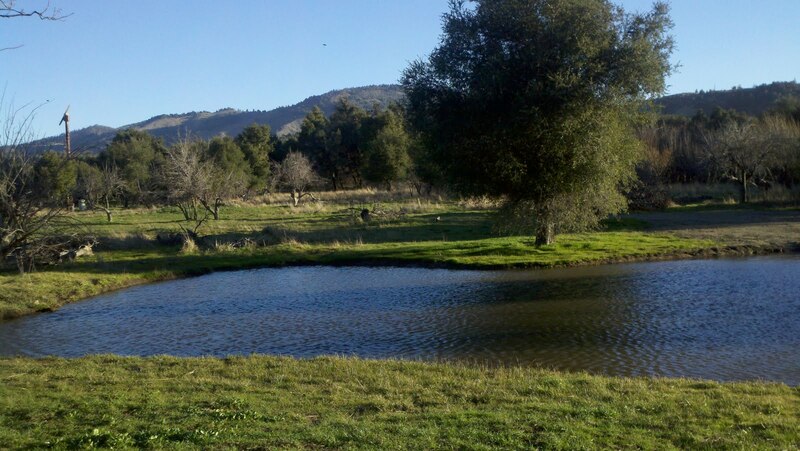 Here's a picture of a nice pond in the Wynola area of Julian. This weekend we are featuring the music of Ben Zinn on Sunday from 1-4 pm. All shops will be open and the tasting rooms will be doing their thing. Come up this way for a very scenic drive (baby cows and green grass everywhere) and stop by Wynola Farms Marketplace for a couple of hours of tasting, eating, listening and all around fun. See you soon!